When the United States Air Force put out a call for submissions for its first-ever Visionary Q-Prize competition in October 2018, a six-person team of 3 MIT students and 3 LGO alumni took up the challenge. Last month, they emerged as a first-place winner for their prototype of a virtual reality tool they called CoSMIC (Command, Sensing, and Mapping Information Center). The challenge was hosted by the Air Force Research Labs Space Vehicles Directorate and the Wright Brothers Institute to encourage nontraditional sources with innovative products and ideas to engage with military customers to develop solutions for safe and secure operations in space. 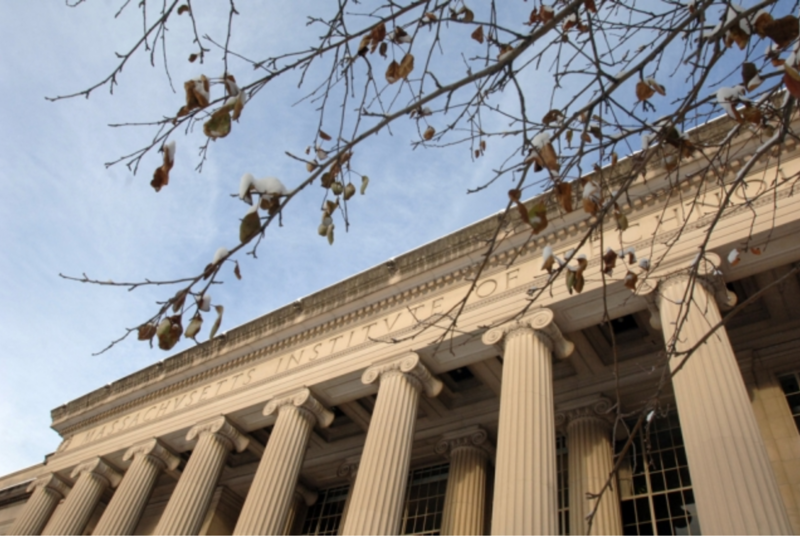 MIT’s graduate program in engineering has again earned a No. 1 spot in U.S. News and Word Report’s annual rankings, a place it has held since 1990, when the magazine first ranked such programs. The MIT Sloan School of Management also placed highly, occupying the No. 3 spot for the best graduate business program, which it shares with Harvard University and the University of Chicago. 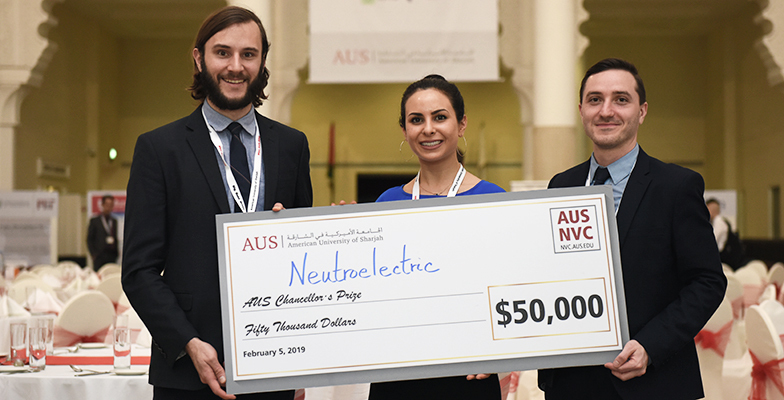 Danielle Castley, Dartmouth PhD Candidate, Jordan Landis, LGO ’20, and Ian McDonald, PhD, of Neutroelectric LLC won the inaugural American University of Sharjah New Ventures Challenge, winning the Chancellor’s Prize of $50,000 with radiation shielding materials developed to improve safety margins and reduce costs for both nuclear power plant operations and transport and storage of spent nuclear waste. 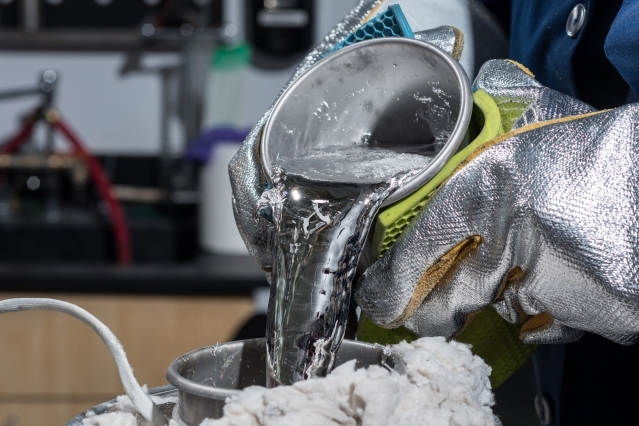 While a number of other MIT researchers are developing capture and reuse technologies to minimize greenhouse gas emissions, Professor Timothy Gutowski, frequent LGO advisor, is approaching climate change from a completely different angle: the economics of manufacturing. Gutowski understands manufacturing. He has worked on both the industry and academic side of manufacturing, was the director of MIT’s Laboratory for Manufacturing and Productivity for a decade, and currently leads the Environmentally Benign Manufacturing research group at MIT. His primary research focus is assessing the environmental impact of manufacturing. Pierre Lermusiaux, LGO thesis advisor and professor of mechanical engineering and ocean science and engineering will join on the MechE department’s leadership team. Prof Lermusiaux will serve as associate department head for operations. 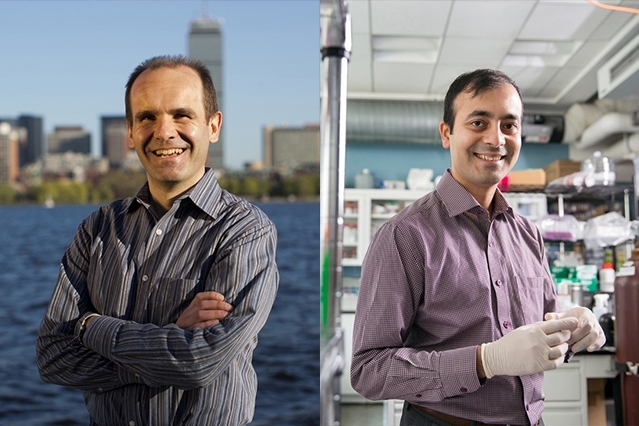 Evelyn Wang, the Gail E. Kendall Professor, who began her role as head of MIT’s Department of Mechanical Engineering (MechE) on July 1, has announced that Pierre Lermusiaux, professor of mechanical engineering and ocean science and engineering, and Rohit Karnik, associate professor of mechanical engineering, will join her on the department’s leadership team. Lermusiaux will serve as associate department head for operations and Karnik will be the associate department head for education. Pierre Lermusiaux has been instrumental in developing MechE’s strategic plan over the past several years. In 2015, with Evelyn Wang, he was co-chair of the mechanical engineering strategic planning committee. They were responsible for interviewing individuals across the MechE community, determining priority “grand challenge” research areas, investigating new educational models, and developing mechanisms to enhance community and departmental operations. The resulting strategic plan will inform the future of MechE for years to come. Lermusiaux joined MIT as associate professor in 2007 after serving as a research associate at Harvard University, where he also received his PhD. He is an internationally recognized thought leader at the intersection of ocean modeling and observing. He has developed new uncertainty quantification and data assimilation methods. His research has improved real-time data-driven ocean modeling and has had important implications for marine industries, fisheries, energy, security, and our understanding of human impact on the ocean’s health. Lermusiaux’s talent as an educator has been recognized with the Ruth and Joel Spira Award for Teaching Excellence. He has been the chair of the graduate admissions committee since 2014. He has served on many MechE and institute committees and is also active in MIT-Woods Hole Oceanographic Institution Joint Program committees. Lermusiaux succeeds Evelyn Wang, who previously served as associate department head for operations under the former department head Gang Chen. Over the past two years, Rohit Karnik has taken an active role in shaping the educational experience at MechE. As the undergraduate officer, he has overseen the operations of the department’s undergraduate office and chaired the undergraduate programs committee. This position has afforded Karnik the opportunity to evaluate and refine the department’s course offerings each year and work closely with undergraduate students to provide the best education. Prior to joining MIT as a postdoc in 2006, Karnik received his PhD from the University of California at Berkeley. In 2006, he joined the faculty as an assistant professor of mechanical engineering. He is recognized as a leader in the field of micro-and-nanofluidics and has made a number of seminal contributions in the fundamental understanding of nanoscale fluid transport. He has been recognized by an National Science Foundation CAREER Award and a Department of Energy Early Career Award. Karnik’s dedication to his students have been recognized by the Keenan Award for Innovation in Education and the Ruth and Joel Spira Award for Teaching Excellence. He has also served on the graduate admissions committee and various faculty search committees. Karnik succeeds Professor John Brisson who previously served as associate department head for education. Boeing, the world’s largest aerospace company, and LGO Partner Company has announced they will be part MIT’s Kendall Square Initiative. The company has agreed to lease approximately 100,000 square feet at MIT’s building to be developed at 314 Main St., in the heart of Kendall Square in Cambridge. 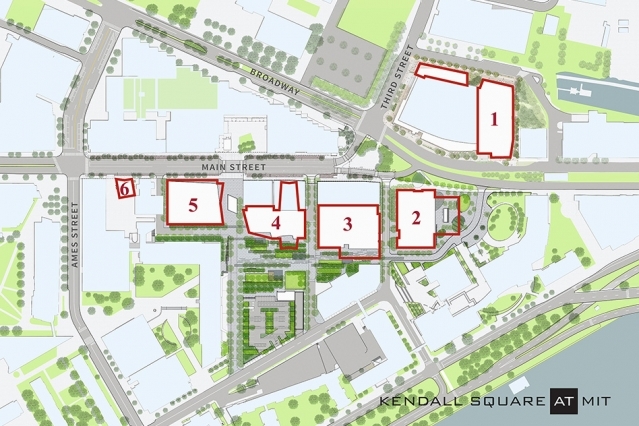 MIT’s Kendall Square Initiative, includes six sites slated for housing, retail, research and development, office, academic, and open space uses. The building at 314 Main St. (“Site 5” on the map above) is located between the MBTA Red Line station and the Kendall Hotel. Boeing is expected to occupy its new space by the end of 2020. Boeing was founded in 1916 — the same year that MIT moved to Cambridge — and marked its recent centennial in a spirit similar to the Institute’s 100-year celebration in 2016, with special events, community activities, and commemorations. That period also represents a century-long research relationship between Boeing and MIT that has helped to advance the global aerospace industry. Some of Boeing’s founding leaders, as well as engineers, executives, Boeing Technical Fellows, and student interns, are MIT alumni. Earlier this year, Boeing announced that it will serve as the lead donor for MIT’s $18 million project to replace its 80-year-old Wright Brothers Wind Tunnel. This pledge will help to create, at MIT, the world’s most advanced academic wind tunnel. In 2017, Boeing acquired MIT spinout Aurora Flight Sciences, which develops advanced aerospace platforms and autonomous systems. Its primary research and development center is located at 90 Broadway in Kendall Square. In the new facility at 314 Main St., Boeing will establish the Aerospace and Autonomy Center, which will focus on advancing enabling technologies for autonomous aircraft. The current appearance of the 314 Main St. site belies its future active presence in Kendall Square. The building’s foundation and basement level — which will house loading infrastructure, storage and mechanical space, and bicycle parking — is currently in construction. Adjacent to those functions is an underground parking garage, a network of newly placed utilities, and water and sewer infrastructure. Vertical construction of the building should begin in September. 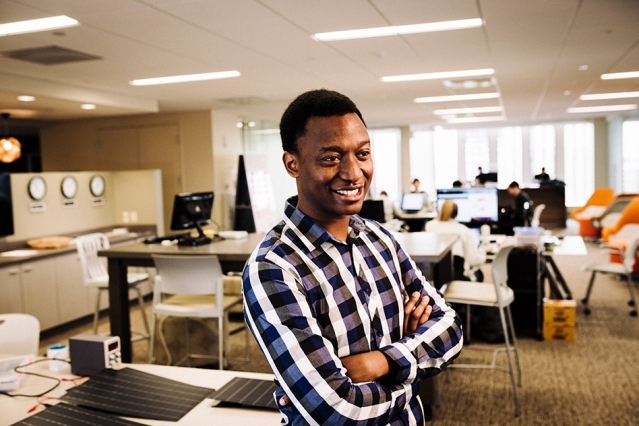 Prosper Nyovanie (LGO ’19) discusses his passion for using engineering and technology to solve global problems. After the official MIT commencement ceremonies, Thomas Roemer, LGO’s executive director, announced the best thesis winner at LGO’s annual post-graduation celebration. 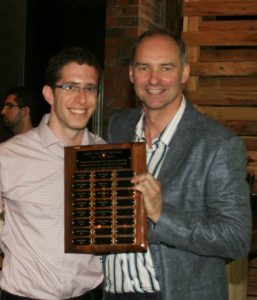 This year’s winner was Jonathan Zanger, who developed a predictive model using machine learning at Massachusetts General Hospital. “The thesis describes breakthrough work at MGH that leverages machine learning and deep clinical knowledge to develop a decision support tool to predict discharges from the hospital in the next 24-48 hours and enable a fundamentally new and more effective discharge process,” said MIT Sloan School of Management Professor Retsef Levi, one of Zanger’s thesis advisors and the LGO management faculty co-director. Zanger, who received his MBA and an SM in Electrical Engineering and Computer Science, conducted his six-month LGO internship project at MGH that sought to enable a more proactive process of managing the hospital’s bed capacity by identifying which surgical inpatients are likely to be discharged from the hospital in the next 24 to 48 hours. To do this, Zanger grouped patients by their surgery type, and worked to define and formalize milestones on the pathway to a post-operative recovery by defining barriers that may postpone patients’ discharge. Finally, he used a deep learning algorithm which uses over 900 features and is trained on 3000 types of surgeries and 20,000 surgical discharges. LGO thesis advisor Retsef Levi stated that “in my view, this thesis work represents a league of its own in terms of technical depth, creativity and potential impact.” Zanger was able to have true prediction for 97% of patients discharged within 48 hours. This helps to limit overcrowding and operational disruptions and anticipate capacity crises. Zanger, who earned his undergraduate degree Physics, Computer Science and Mathematics from the Hebrew University of Jerusalem, will return to Israel after graduation and resume service as an Israeli Defense Forces officer. 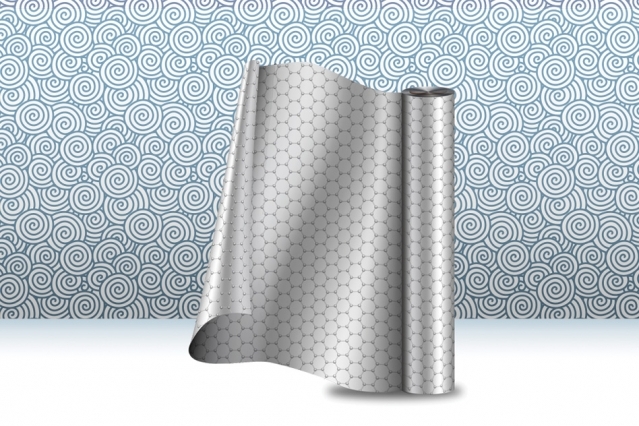 LGO thesis advisor and MIT Mechanical Engineering Professor John Hart, lead a team to develop a continuous manufacturing process that produces long strips of high-quality graphene. Ask what the term “lean management” means, and you might see the blood drain from someone’s face. “Lay-offs, cost-cutting, downsizing,” they might spit back at you. But that’s not what the system — modeled after the lean manufacturing practices pioneered in the 1970s by Toyota — is about, according to lean experts John Shook, chairman and CEO of the Lean Enterprise Institute, and Jamie Bonini, vice president of the Toyota Production System Support Center. They recently joined MIT Sloan adjunct associate professor Zeynep Ton’s class to elaborate. For nearly 50 years, much of America’s growth has been concentrated in a handful of large and already prosperous coastal cities, widening the nation’s economic and cultural divides. Reversing this trend —and returning to the postwar prosperity that benefited far more Americans — will require an ambitious plan to boost public investment in scientific research and development in dozens of communities. That’s the word from two MIT economists, Jonathan Gruber and Simon Johnson, in “Jump-Starting America: How Breakthrough Science Can Revive Economic Growth and the American Dream,” out April 9. The promise of automated vehicles must be managed with policies that control demand for more driving and protect public transit, researchers say. The battery-powered sedan broadcasts a request to merge into the next lane, and other nearby vehicles automatically adjust as it glides over and exits the highway. Inside, the passenger finishes a quick email check, then clicks on a monitor to catch up with the day’s news. As artificial intelligence learns to interpret and respond to human emotion, senior leaders should consider how it could change their industries and play a critical role in their firms. What did you think of the last commercial you watched? Was it funny? Confusing? Would you buy the product? You might not remember or know for certain how you felt, but increasingly, machines do. New artificial intelligence technologies are learning and recognizing human emotions, and using that knowledge to improve everything from marketing campaigns to health care. If you want to stay ahead of the market, find a core problem and solve it. Don’t cling to a solution to an outdated need. Swedish company IKEA bills itself as a furniture retailer — and for some, a purveyor of delicious meatballs — but ask MIT professor Sanjay Sarma, and he’ll tell you IKEA is actually in the business of selling holes. Referencing Harvard professor Theodore Levitt, Sarma pointed out that when someone buys a drill, they don’t actually want the tool, they want what it can do. It’s a rare organization that can’t find a digital opportunity to harness. A tech-forward board of directors can help you find yours. Steaming cups of coffee and baked goods smeared with frosting might not be the first products you think of as having the potential to be transformed by digital technologies, but thinking outside the Box O’ Joe — and beyond the physical world — allowed one coffee and baked goods giant to do exactly that. In 2012, Dunkin’ Brands — owner of Dunkin’ (formerly Dunkin’ Donuts) and Baskin-Robbins — launched a mobile phone app designed to allow customers to pay from their devices and connect to the company’s DD Perks rewards program. The app solved a range of problems plaguing the company’s vast network of franchisees by shaving time off of service speeds, increasing cross-selling, raising the size of an average customer’s order, and making payment processing easier by reducing credit card fees. It also gave the company an avenue to acquire better data about customer preferences and create deeper relationships with them. You’ve got firewalls in place. You have a team dedicated to keeping a careful watch over your networks, 24/7. Everything is under two-factor authentication. 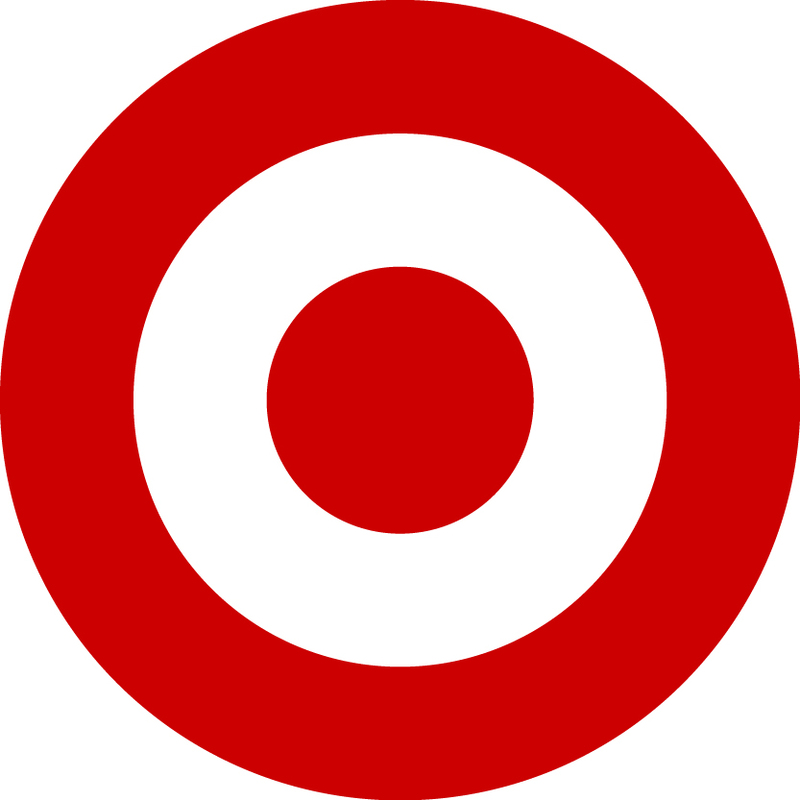 Your cyber defenses must be bulletproof. MIT Sloan students aren’t the only ones who take interest when new courses are added — they’re often a barometer of what’s about to bubble up in business. Here’s what MIT Sloan faculty are drilling down on in three new and updated courses for spring 2019 — and why it matters to business leaders. If your organization is looking to innovate more in 2019 (and who isn’t? ), we have good news and bad for you. The good news: The world is increasingly flat, to riff off the title of Thomas L. Friedman’s seminal 2005 book — meaning innovation isn’t confined to just Silicon Valley anymore. Despite all the advances in technology designed to streamline work, output per hour has actually been leveling off since around 2006. While some believe that’s the new normal for productivity, new research from MIT Sloan economist Erik Brynjolfsson and his colleagues shows it may just be a temporary lull. As he delivered these lines, engineers in MIT’s Instrumentation Laboratory were already taking up the president’s challenge. One year earlier, NASA had awarded MIT the first major contract of the Apollo program, charging the Instrumentation Lab with developing the spacecraft’s guidance, navigation, and control systems that would shepherd astronauts Michael Collins, Buzz Aldrin, and Neil Armstrong to the moon and back. On July 20, 1969, the hard work of thousands paid off, as Apollo 11 touched down on the lunar surface, safely delivering Armstrong and Aldrin ScD ’63 as the first people to land on the moon. On Wednesday, MIT’s Department of Aeronautics and Astronautics (AeroAstro) celebrated the 50th anniversary of this historic event with the daylong symposium “Apollo 50+50,” featuring former astronauts, engineers, and NASA adminstrators who examined the legacy of the Apollo program, and MIT faculty, students, industry leaders, and alumni who envisioned what human space exploration might look like in the next 50 years. The event kicked off three days of programming for MIT Space Week, which also included the Media Lab’s “Beyond the Cradle: Envisioning a New Space Age” on March 14, and the student-led “New Space Age Conference” on March 15. As a “baby boomer living through Apollo,” retired astronaut Charles Bolden, NASA’s 12th administrator, said the Apollo program illustrated “how masterful we were at overcoming adversity.” In a keynote address that opened the day’s events, Bolden reminded the audience that, at the time the ambitious program got underway in the 1960s, the country was in the violent thick of the civil rights movement. This of course proved unnecessary, and Draper went on to lead the development of the guidance system with “unbounded optimism,” as his former student and colleague Lawrence Young, the MIT Apollo Program Professor, recalled in his remarks. “We owe the lighting of our fuse to Doc Draper,” Young said. At the time that MIT took on the Apollo project, the Instrumentation Laboratory, later renamed Draper Laboratory, took up a significant footprint, with 2,000 people and 15 buildings on campus, dedicated largely to the lunar effort. In a highlight of the day’s events, NASA astronauts Walter Cunningham (Apollo 7) and Charles Duke SM ’64 (Apollo 16), and MIT Instrumentation Laboratory engineers Donald Eyles and William Widnall ’59, SM ’62 — all from the Apollo era — took the stage to reminisce about some of the technical challenges and emotional moments that defined the program. One of the recurring themes of their conversation was the observation that things simply got done faster back then. For instance, Duke remarked that it took just 8.5 years from when Kennedy first called for the mission, to when Armstrong’s boots hit the lunar surface. “I would argue the proposal for such a mission would take longer [today],” Duke said to an appreciative rumble from the audience. The Apollo Guidance Computer, developed at MIT, weighed 70 pounds, consumed 55 watts of power — half the wattage of a regular lightbulb — and took up less than 1 cubic foot inside the spacecraft. The system was one of the first digital flight computers, and one of the first computers to use integrated circuits. Written out, that code famously amounted to a stack of paper as tall as lead software engineer Margaret Hamilton — who was not able to participate in Wednesday’s panel but attended the symposium dinner that evening. In the end, the Apollo Guidance Computer succeeded in steering 15 space flights, including nine to the moon, and six lunar landings. That’s not to say that the system didn’t experience some drama along the way, and Duke, who was the capsule communicator, or CAPCOM, for Apollo 11, remembers having to radio up to the spacecraft during the now-famous rocky landing. “When I heard the first alarm go off during the braking phase, I thought we were dead in the water,” Duke said of the first in a series of alerts that the Apollo astronauts reported, indicating that the computer was overloaded, during the most computationally taxing phase of the mission. The spacecraft was several miles off course and needed to fly over a “boulder field,” to land within 60 seconds or risk running out of fuel. Flight controllers in Houston’s Mission Control Center determined that if nothing else went wrong, the astronats, despite the alarms, could proceed with landing. Since the Apollo era, NASA has launched astronauts on numerous missions, many of whom are MIT graduates. On Wednesday, 13 of those graduates came onstage to be recognized along with the Apollo crew. In introducing them to the audience, Jeffrey Hoffman, a former astronaut and now AeroAstro professor of the practice, noted MIT’s significant representation in the astronaut community. For instance, in the five missions to repair the Hubble Space Telescope, which comprised 24 spacewalks, 13 of those were performed by MIT graduates. “That’s pretty cool,” Hoffman said. The Apollo moon rocks that were were brought back to Earth have “evolved our understanding of how the moon formed,” said Maria Zuber, MIT’s vice president for research and the E.A. Griswold Professor of Geophysics in the Department of Earth, Atmospheric and Planetary Sciences. These rocks “vanquished” the idea that the moon originally formed as a cold assemblage of rocks and “foo foo dust,” she said. Instead, after carefully analyzing samples from Apollo 11 and other missions, scientists at MIT and elsewhere have found that the moon was a dynamic body, with a surface that at one time was entirely molten, and a metallic core, or “dynamo,” powering an early, lunar magnetic field. Even more provocative was the finding that the moon was not in fact “bone-dry,” but actually harbored water — an idea that Zuber said was virtually unpublishable until an MIT graduate reported evidence of water in Apollo samples, after which the floodgates opened in support of the idea. To consider the next 50 years of space exploration, the MIT symposium featured a panel of faculty members — Paulo Lozano, Danielle Wood, Richard Binzel, and Sara Seager — who highlighted, respectively, the development of tiny thrusters to power miniature spacecraft; an effort to enable wider access to microgravity missions; an MIT student-designed mission (REXIS) that is currently analyzing the near-Earth asteroid Bennu; and TESS and ASTERIA, satellite missions that are currently in orbit, looking for planets and possibly, life, outside our solar system. Industry leaders also weighed in on the growing commercialization of space exploration, in a panel featuring MIT alums who currently head major aerospace companies. Keoki Jackson, chief technology officer of Lockheed Martin, noted the pervasiveness of space-based technologies, such as GPS-dependent apps for everything from weather and news, to Uber. In a glimpse of what the future of space exploration might hold, MIT students presented lightning talks on a range of projects, including a custom-designed drill to excavate ice on Mars, a system that makes oxygen on Mars to fuel return missions to Earth, and a plan to send CubeSats around the world to monitor water vapor as a measure of climate change. Audience members voted online for the best pitch, which ultimately went to Raichelle Aniceto and her presentation of a CubeSat-enabled laser communications system designed to transmit large amounts of data from the moon to Earth in just five minutes. In the last keynote address of the symposium, Thomas Zubuchen, associate administrator for NASA’s Science Mission Directorate, told the audience that there is still a lot of research to be done on the moon, which he said is changing, as evidenced by new craters that have formed in the last 50 years. “The moon of the Apollo era is not the same moon of today,” said Zurbuchen, who noted that just this week, NASA announced it will open previously unlocked samples of soil collected by the Apollo missions. In closing the symposium, Dava Newman, the Apollo Program Professor of Astronautics and former NASA deputy administrator, envisioned a future dedicated to sending humans back to the moon, and ultimately to Mars. The Department of Civil and Environmental Engineering’s ninth annual Research Speed Dating event featured a well-rounded display of research from both civil and environmental engineering disciplines, from human microbiomes, carbon partitioning of plants, climate change, and urban pollution to recovering from major storm damage, algorithms for car-sharing networks, and integrating autonomy into transportation systems. The Feb. 15 event brought together a wide range of faculty, research scientists, postdocs, graduate students, and undergraduates to present their research findings. Assistant Professor Tami Lieberman kicked off the event by highlighting her research that investigates how to add a microbe to an already established microbiome. Lieberman conducts her research through the lens of evolution, using DNA sequencing in order to identify how bacteria spreads between people, and how it is evolving within humans as they coexist with other adapted mutations. Lieberman, who is one of the department’s newest faculty members, explained that she is searching for expertise within lipid characterization, directed evolution, DNA, large data, and high-throughput microbiology. Her lab plans to explore many different areas such as the colonization of new bacterial strains, disease-specific adaptation, colon cancer, host-specificity, and immune responses to bacteria and probiotics. Switching gears from the world of microbiomes to the biosphere was PhD student Josh Moss in Professor Jesse Kroll’s lab. The Kroll lab studies atmospheric chemistry, and Moss’ research is concerned with various aspects of urban pollution, such as how smog forms, the reactions of certain chemicals in the atmosphere, and secondary organic aerosol. “When discussing smog, we talk about it in terms of secondary organic aerosol, and look at what humans and the biosphere emit as primary gasses that react in the atmosphere with oxidants such as OH radical and ozone to form secondary gases. They tend to either form new particles or they will condense onto existing particles to create smog; the mixture of particles and gasses which forms in the presence of UV light,” Moss explained. Incorporating computer modeling in conjunction with physical experiments in the lab has elicited many exciting opportunities to explore new avenues within his discipline, Moss said. Moving the discussion from urban pollution to plant biology was Assistant Professor Dave Des Marais, who gave his talk on how plants respond to environmental stressors. He discussed how climate change is impacting growing seasons and is seeking ways to understand these issues. He explained that there is a lot of opportunity for collaboration and research within this field, including the chance to work with a lab in Israel to study numerous variables over time. Incoming Gilbert W. Winslow Assistant Professor Cathy Wu, who will officially begin her position in CEE this June, switched gears and introduced the audience to the world of transportation. Wu’s research is centered around the integration of autonomy into transportation systems. She said she aims to challenge conventional transportation systems by looking at the ways in which technology will influence certain systems for the better, making a difference in the long run. Wu came to the realization that researchers do not have a strong understanding of the potential impact autonomous vehicles could have on society. “These vehicles can potentially provide access to one third of the population including the youth, the elderly, and the disabled. So, I set out and studied robotics, and then became determined to understand the impact of autonomous vehicles on the transportation system,” said Wu. Wu is investigating transportation through deep reinforcement learning — learning policy in order to maximize reward — simulations, and flow traffic LEGO blocks. Moving forward, she is interested in two technical aspects, reliability and scalability in terms of the types of decisions that can be made for urban systems. “There are so many rich perspectives in this department, and I am excited to see the interplay of this when it comes to decision-making,” concluded Wu. Graduate student Andrew Feldman, who later went on to receive the best lightning talk award, presented on water exchange patterns in the soil-plant continuum based on SMAP Microwave Satellite Measurements. Feldman works with Bacardi Stockholm Water Foundations Professor Dara Entekhabi’s lab to study soil moisture and vegetation water content observations from NASA’s SMAP satellite in order to evaluate plant water storage changes following rainfall. New to the event this year was a panel discussion on the future of research in infrastructure and environment, moderated by Leon and Anne Goldberg Professor of Humanities, Sociology, and Anthropology Susan Silbey. 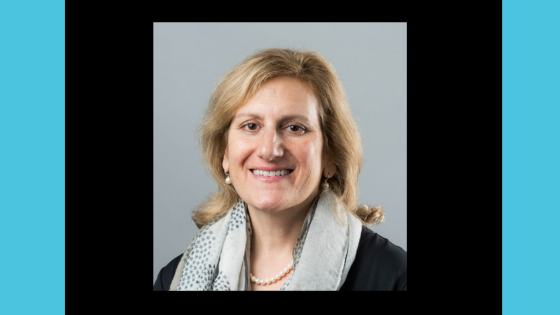 Silbey serves as chair of the MIT faculty and is also a professor of behavioral and policy sciences within the MIT Sloan School of Management. The panel included CEE Professor Colette Heald, Paul M. Cook Career Development Assistant Professor Benedetto Marelli, JR East Professor of Engineering Professor Ali Jadbabaie, and Breene M. Kerr Professor Elfatih Eltahir. The discussion covered crucial topics such as the challenge of connecting engineering disciplines with the humanities in order to accomplish more as a society. A recurring issue that was brought up by the panel was how the department intends to solve environmental problems. “The climate is evolving and changing and there are increasing needs for adapting to that new climate, involving infrastructure in a major way. How do we engineer a process of societal adaptation? I think we are in a unique position as a department to address this concern,” said Eltahir. Heald and Eltahir agreed that the diversity of the department places CEE in a unique position to capitalize on the expertise available when tackling global issues. “Our diverse knowledge is beneficial when taking on climate change, and we can provide opportunity in various disciplines including infrastructure, systems, and the environment,” said Heald. Eltahir explained that having a connection to the social sciences would be something that the department should consider seriously. He emphasized the challenge of consumerism, as a cultural and societal problem throughout the U.S, Europe, and China. “We live in a world that has limited resources, and the global society behaves with the implicit assumption that there are no limits,” explained Eltahir. “I thought it was a very interesting and thought-provoking afternoon; I think lots of departments, labs, and centers should stage such inviting and informative events,” said Silbey. The final portion of the evening included a digital poster presentation, which encouraged networking and collaboration between researchers in the department. More than 20 students, ranging from first-year students to postdocs, presented their digital posters. Postdoc Fabiola Sanchez won honorable mention for her poster about the dynamics of the active-growing bacterial community in the estuarine environment during a 24-hour period. Her poster explains that the active community is different from the total, and its abundance exhibits a strong correlation with the chlorophyll levels and the day-night cycle. The runner up, senior Stephanie Chin, presented a poster about analyzing noisy data with limited training data, based on a CNN approach, for the specific application of a traffic surveillance camera. This approach could help adapt general-purpose models for domain-specific content and applications, such as traffic surveillance images. PhD student Isabelle Su’s winning poster, “Exploring a Spider Web’s Structure with Sound,” explained the use of sonification in order to visualize complex 3-D spider web data through sound. Su created an interactive sonification model that can be used as a versatile data exploration tool, for instance, to find spider web patterns, as a creative platform or recreated for similar data networks. After announcing the prizes, the night concluded with a dinner for the participants and their colleagues, allowing for further networking opportunities. Inspiring research talks, a panel discussion, and digital poster presentation session successfully displayed the bright future that CEE has ahead. Judah Cohen, director of seasonal forecasting at AER (Atmospheric and Environmental Research) and visiting scientist in MIT’s Department of Civil and Environmental Engineering, and Ernest Fraenkel, professor of biological engineering at MIT, have won first place in three out of four temperature forecasting categories in the Sub-Seasonal Climate Forecast Rodeo competition, hosted by the National Oceanic and Atmospheric Administration and sponsored by the U.S. Bureau of Reclamation. 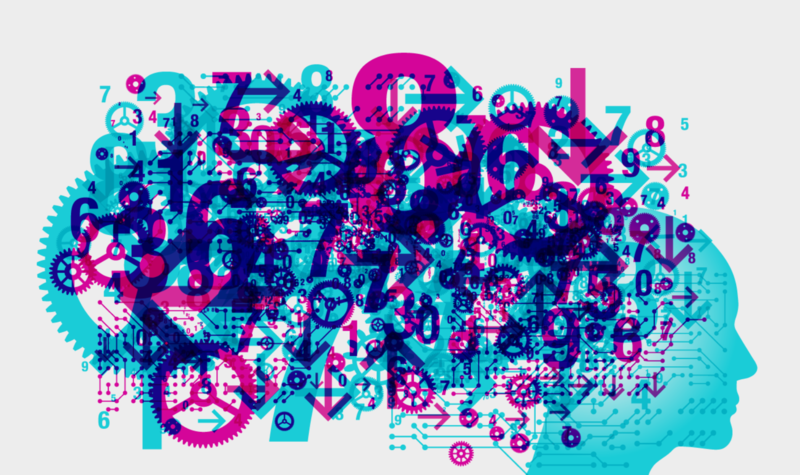 The MIT researchers, who were joined by Stanford University PhD students Jessica Hwang and Paulo Orenstein and Microsoft researcher Lester Mackey, beat the operational long-range forecasting model used by the U.S. government. To be eligible for the competition, the teams were required to submit their climate predictions every two weeks between April 17, 2017 and April 18, 2018. The goal was to create a model that the western United States would be able to rely on weeks in advance to help manage water resources and prepare for wildfires and drought. The competition required that the models achieve a higher mean skill over all competitive forecasts, and two benchmarks submitted by the U.S. Government, which are unbiased versions of the physics-based U.S. Climate Forecasting System. The models also had to achieve damped persistence (indicating that the data you are contributing is increasing the correlative effect over time). “The current weather predicting models are only able to make forecasts about seven to 10 days prior to the forecast. By using machine learning techniques like the one we created for this contest, [the new model] is able to help energy companies and cities prepare for severe storms much farther in advance,” says Cohen. The dynamic team of experts combined historical weather-pattern recognition and machine learning in order to produce real-time predictions of temperature and precipitation anomalies two to six weeks in advance for the western United States. “We capitalized on the current availability of ample meteorological records and high-performance computing techniques to blend both physics-based or dynamic models and statistical machine learning approaches in order to extend the skillful forecast horizon from days to weeks,” says Cohen. The combination of machine learning techniques and historical weather-pattern recognition is very powerful because it can help the government maximize water resources and prepare for natural disasters or extreme weather conditions. “There are certainly plans to continue this project, as we have been talking about extending the model to the entire U.S. We demonstrated with this contest that there is potential with this model to leapfrog the forecasting process. It can help provide more accuracy at lower costs in the subseasonal forecasts,” explains Cohen. The research team also included MIT postdoc Katherine Phillips and undergraduate Janny Cai, and Uwe Schroder at the University of Braunschweig, in Germany. The work was supported by Cadagua, a subsidiary of Ferrovial, through the MIT Energy Initiative.